ماکس فردیناند پروتس (به آلمانی: Max Ferdinand Perutz) (زاده ۱۹ مه ۱۹۱۴ در وین، اتریش - درگذشته ۶ فوریه ۲۰۰۲ در کمبریج، انگلستان)  شیمیدان انگلیسی زاده وین است. او در سال ۱۹۶۲ به طور مشترک به همراه جان سی کندرو برای مطالعات خود به روی ساختارهای پروتئین‌های کروی موفق به دریافت جایزه نوبل شیمی شد. ↑ "Dr Perutz, said: "It is one thing for scientists to oppose creationism which is demonstrably false but quite another to make pronouncements which offend people's religious faith – that is a form of tactlessness which merely brings science into disrepute. My view of religion and ethics is simple: even if we do not believe in God, we should try to live as though we did."" Kam Patel, Perutz rubbishes Popper and Kuhn, 25 November 1994. ↑ Blow, D.M. (2004). 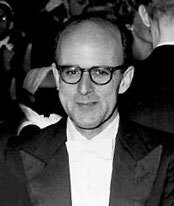 "Max Ferdinand Perutz OM CH CBE. 19 May 1914 – 6 February 2002". Biographical Memoirs of Fellows of the Royal Society. 50: 227–256. doi:10.1098/rsbm.2004.0016. ISSN 0080-4606. ↑ «The Nobel Prize in Chemistry ۱۹۶۲» ‎(انگلیسی)‎ (HTML). Nobelprize.org. بازبینی‌شده در ۲۰۰۸-۱۰-۰۶.